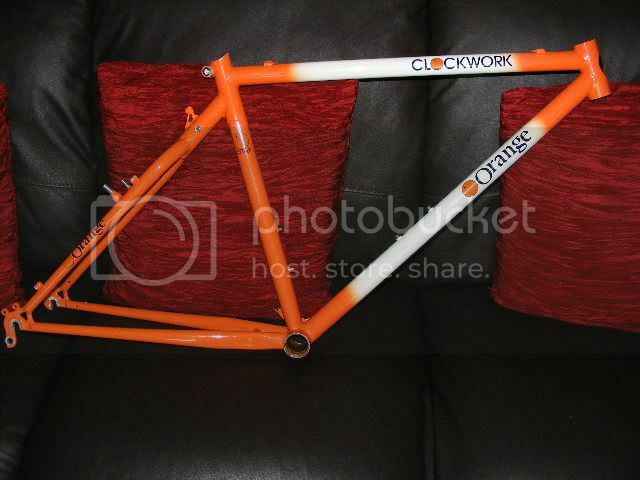 This frame has been knocking around retrobike for some time and had a few owners on the way. It’s in very nice condition, not mint, but very nice. I loved the Orange Clockwork back in the day, they had real identity and charisma. Instantly recognisable in the original colour scheme of white and orange and were equally at home cruising the streets as they were competing on the race tracks. In fact I believe the Clockwork to be a bit of an early nineties icon, I never owned one back then but can still smell the thickly waxed paper that the 1993 brochure was printed on, I wanted one so much but the funds just weren’t forthcoming. 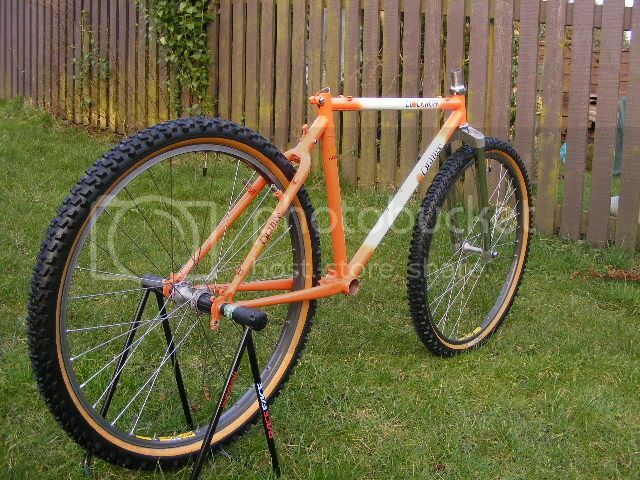 In the early 90’s Orange brought a new way of buying a mountain bike to the masses, they weren’t your build up out of a box bike, they were built at your bike shop to your requirements, hence you rarely saw two the same. 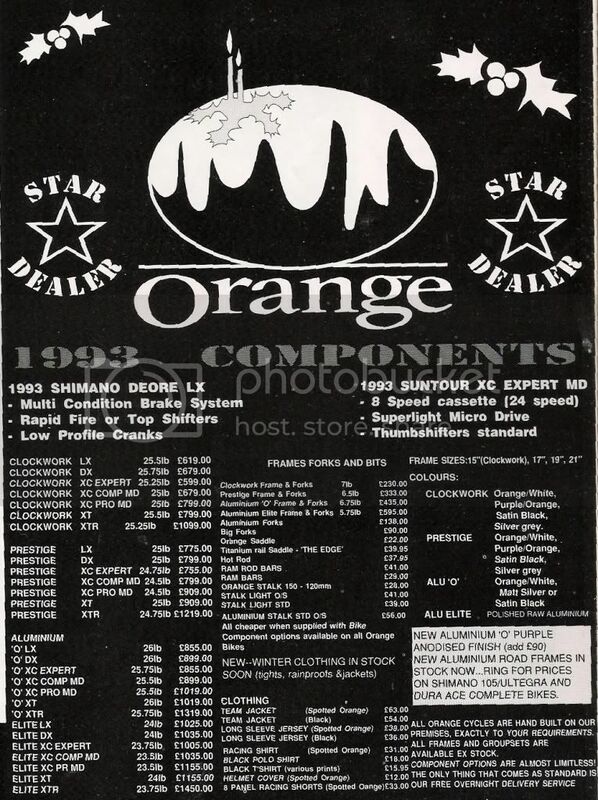 Here’s an advertisement from MBUK (STIF, Leeds) in 1992, giving you an idea of what was on offer, prices and weights. 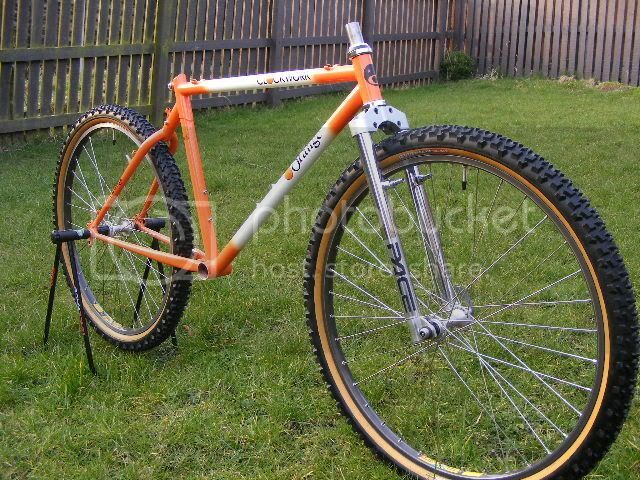 The Orange Clockwork wasn’t the cheapest bike on the planet but it offered a lot for the money, not least an entry weight of 25.25lbs for Suntour and 25.5lbs for Shimano groupset bikes. 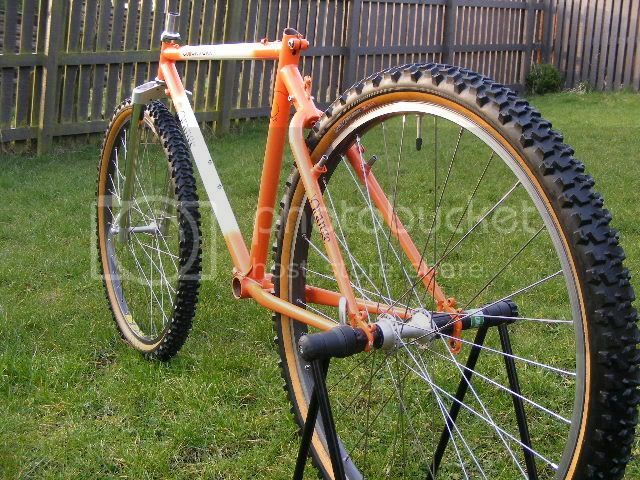 The Orange way of building bikes means that I can freely pick my parts for this project too. 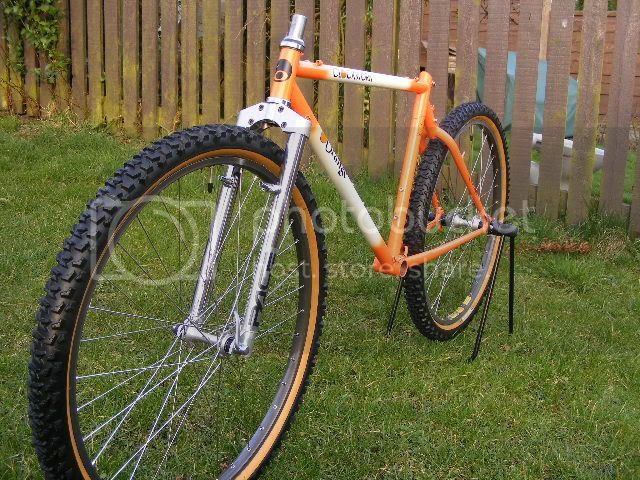 If you were buying your Orange and wanted the finest rigid forks you choose these, Pace RC-30’s. For some reason Orange and Pace is one of those combinations that just work, maybe it’s the British brands thing, but they just do. These beauties and in excellent order with the exception of the decals. 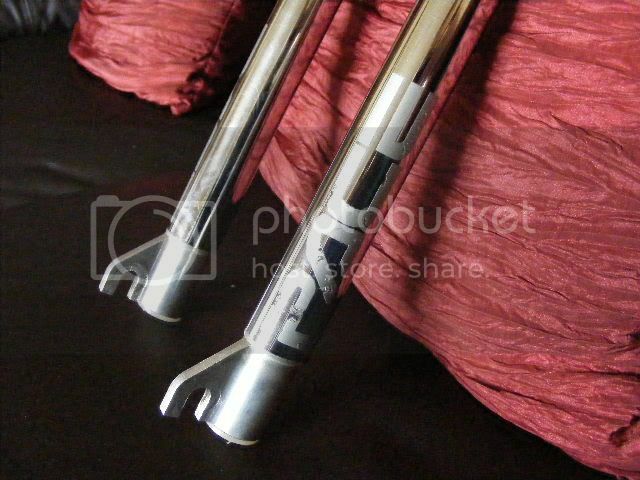 They have an axle to crown measurement of 385mm, so should give some great old school handling. 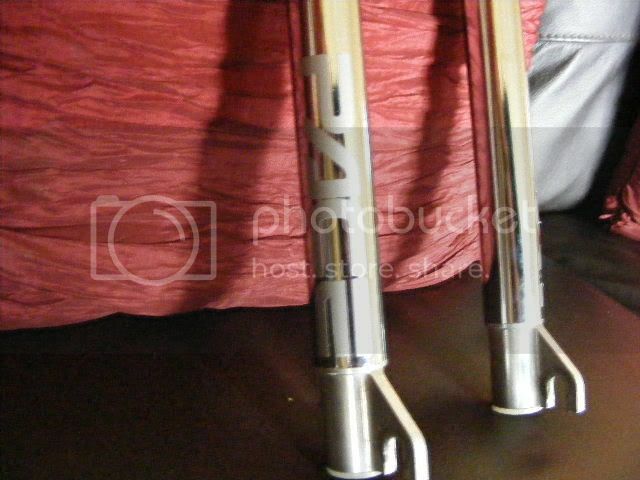 Naturally the steerer is 1” diameter to fit the frame and in this case a-head type. With the introduction of a little autosol and fresh decals they are ready for fitting to the frame. I'll keep the backing sticker on until the project is completed, that way I won’t damage the lovely new decals. As crucial as the headset is I’m not going to blow massive amounts of money on a headset on this occasion. 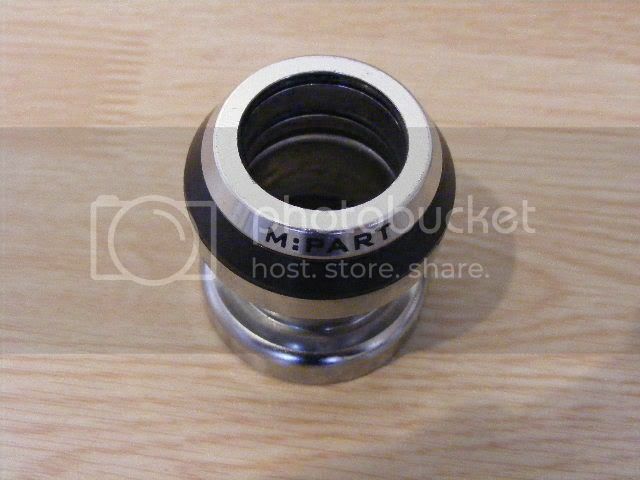 The frame was supplied with a very fresh M Part 1” ahead headset, it seems a nonsense to go out and buy another just for the sake of it. The fit of the headset is a little loose for my liking, both in the cups to head tube and the crown race to steerer. To solve this a little aluminium tape will be used to shim them into a snug fit. 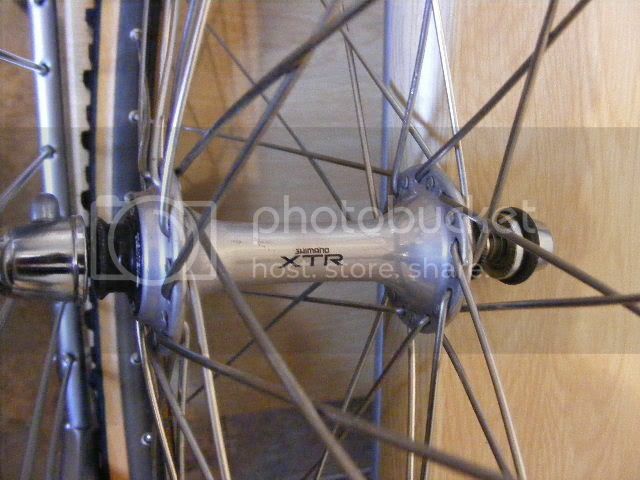 The hubs are Shimano’s finest M900 XTR ones. The front is an immaculate 32 hole with buttery smooth bearings, the rear is a very good condition 36 hole with excellent bearings also. 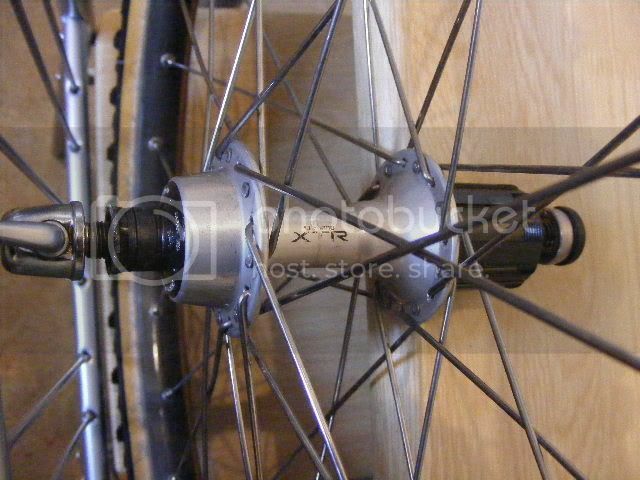 Both of the hubs are held in place by M900 skewers. 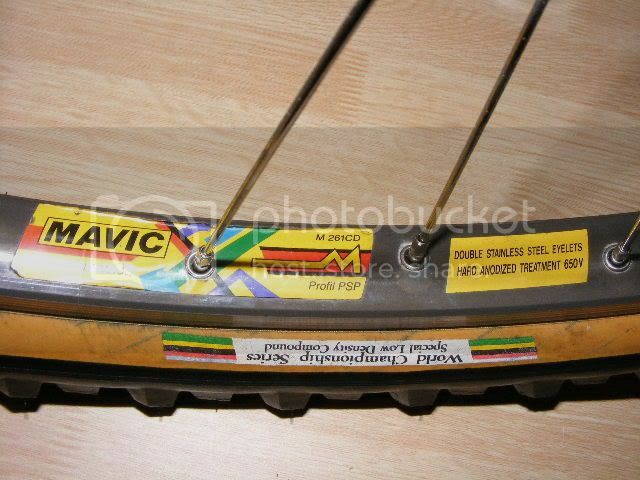 These are spoked to a Mavic 231CD at the front and a Mavic 261 CD on the rear, they may not be matching but make a good pair. 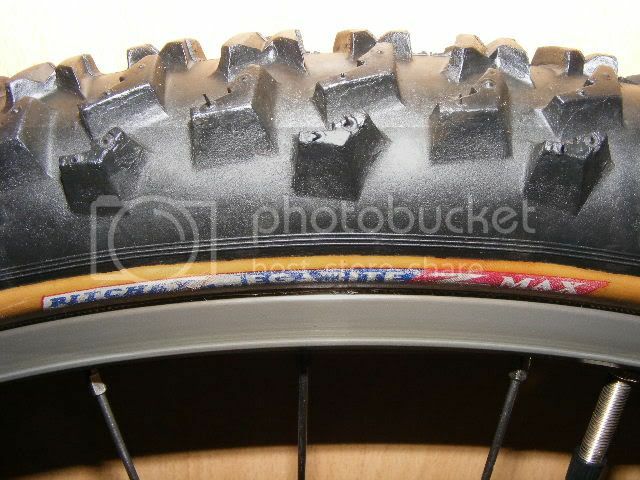 The front rim is in excellent condition and the rear in good condition. 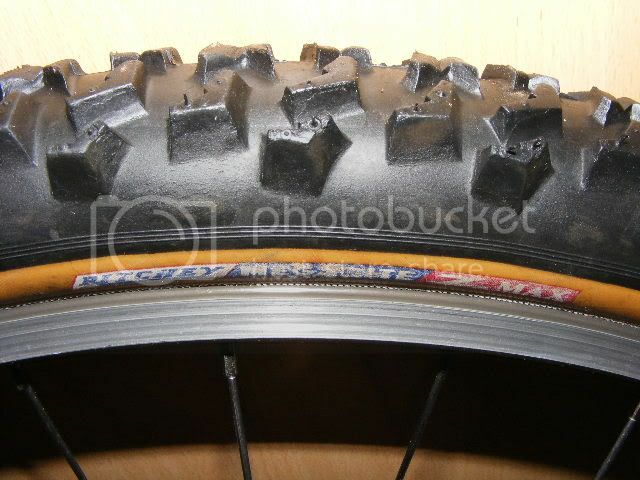 I’ve used Ritchey Z-Max tyres before and found them to be very usable, some might not like them in heavy conditions due to their poor mud clearing, but I like them for being hard wearing, comfortable and having good cornering properties. My pair are in very good condition, with plenty of life remaining. Skin wall must be the way forward for an Orange of this era in my humble opinion. Last edited by sinnett177 on Sat Apr 11, 2009 4:42 pm, edited 4 times in total. 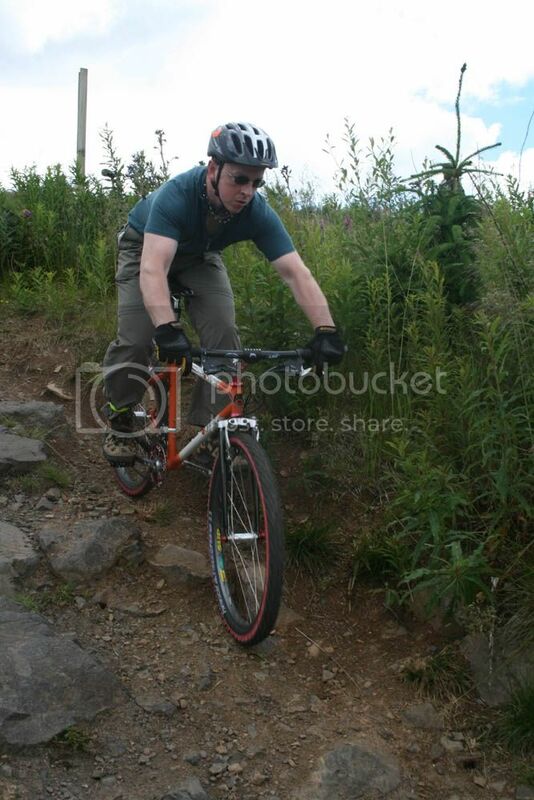 Here's the pic of the bike in action last year, shame about the geek in the saddle though. That looks great Mr. Hendrix, how did it ride? 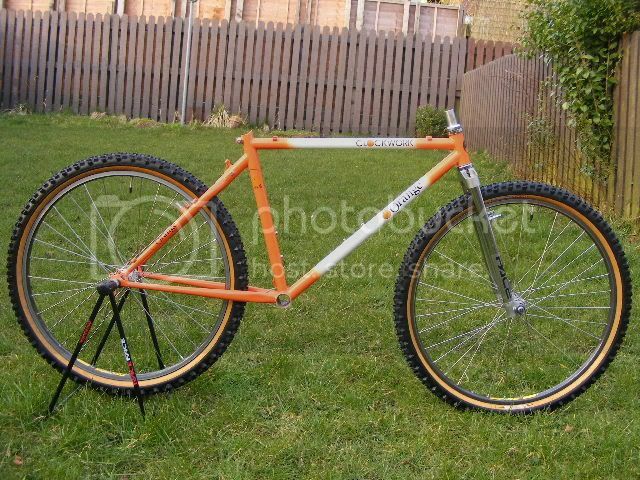 The frame is very compact so i'm expecting a very old school time on it. This one's shaping up very nicely! Looking at the old Stif ad it mentions a silver grey colour scheme for the Prestige/Clockwork. 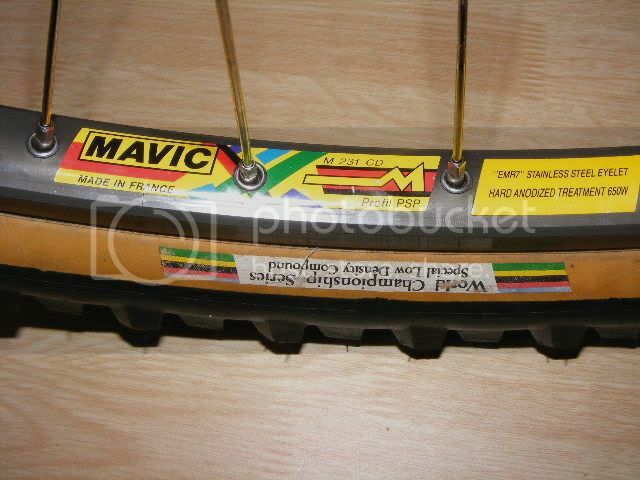 I've asked before but does anyone on here have one or remember them. 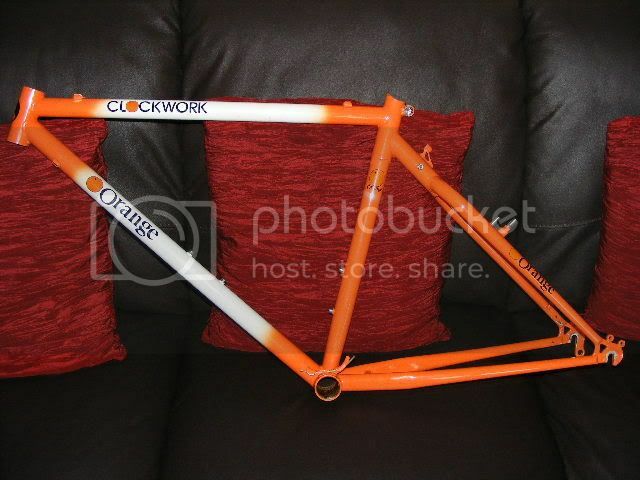 My dream bike BITD was a pimped Clockwork in this colour. Don't know why but I really liked the simple, clean finish. Might get my incoming Prestige sprayed up in grey if I can find a colour match (although seeing the orange/white fade turns my head that way ). I'd check out the 'gallery and achieve' section, most of the old catalogues are there. Might point you in the right direction with your colour scheme. keep it orange and white......timeless!! Cheers Sinnett but I've already looked and no joy. 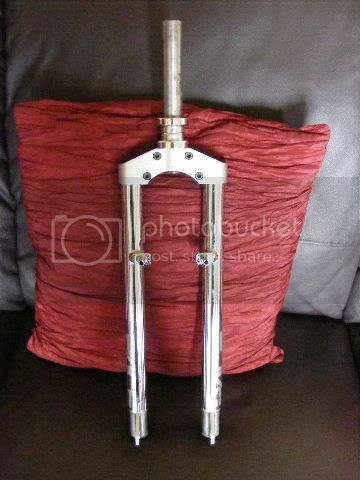 Saw a 16" Clockwork in grey on ebay recently but that's the first time I've seen one for ages. Mine's black at the mo feetabix but seeing the one in this thread makes me think I might go for the orange/white fade as that's no doubt the classic. I remember the grey prestige. Wasn't it grey with black decals? 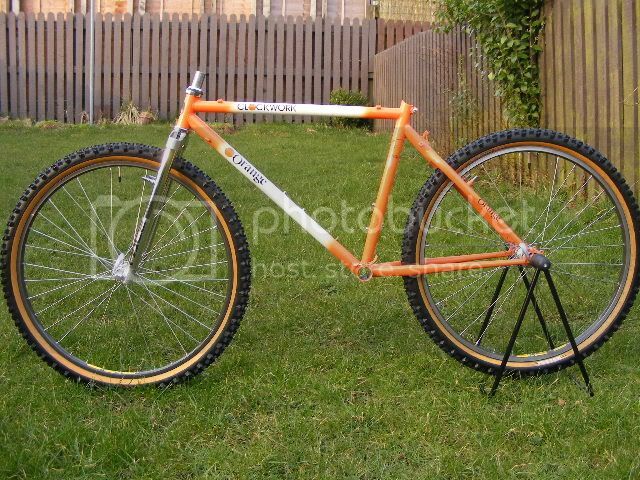 Also, does anyone recall the orange & purple Prestige. I'm sure it wasn't the later 93 version as it had the classic decals.